Why Should You Test Your Air? Testing your air can help you determine the quality of your indoor air as well as help you figure out what you can do about it. For example, if there are a lot of allergens in the air that are causing you to cough and sneeze constantly (and you notice that this is only an issue when you are indoors), then you can take steps to remove those allergens by installing an air purifier. There are also many different types of contaminants that could be hurting your air quality, including not just common allergens such as pollen, dust, and mold spores, but also more toxic substances, such as volatile organic compounds, formaldehyde, and lead. By testing your indoor air quality, you help ensure that your home environment is not only healthy, but safe as well. Allergen tests – Allergen tests will identify the presence of indoor allergens, such as pollen, mold spores, dust, insect fragments, skin cells, and fibers. Remember that no indoor air is going to be completely without these allergens, but you will want to control them since the more allergens are present, the lower your air quality is. Formaldehyde tests – The EPA (Environmental Protection Agency) declared formaldehyde as a probable human carcinogen, which means you’ll want to make sure that your air doesn’t contain harmful concentrations of it. Lead tests – The presence of lead in pipes and paint has been linked to serious health issues. By testing for lead in the air, you can identify the presence of lead in your home and take steps to remove it, thereby protecting against potential health problems. 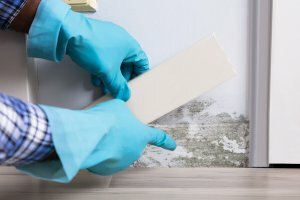 Mold tests – Mold tests will help you identify airborne mold and help pinpoint vulnerable areas in your home. Organic vapor tests – Organic vapor tests will help identify the presence of more than 40 organic chemicals as well as 50 types of VOCs, the exposure to which can cause everything from headaches and nausea to liver and kidney damage and potentially even cancer. These air quality tests will come with instructions on how to collect an airborne or surface sample. You’ll then have to mail it to a lab that will perform an analysis screening (the cost of which is typically included in the cost of the home allergens test). You’ll be sent a report on your indoor air quality. However, a professional mold removal or air quality testing service can also perform air quality tests as well as provide advice on how to improve your air quality. Once you test for allergens in your home, you should consider installing an indoor air quality monitoring system — even if your indoor air quality is high. An indoor air quality monitoring system will measure the allergens in your air, letting you know what the quality of your indoor air is like at all times. Maintaining high indoor air quality is important to the health and comfort of your household. 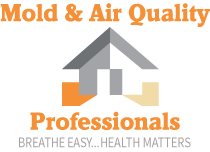 For professional mold and air quality testing, be sure to contact us at Mold & Air Quality Professionals for a free quote.